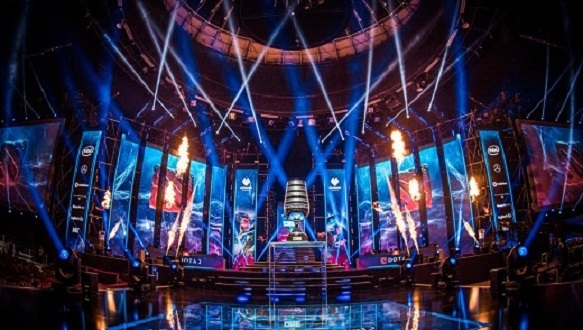 The semi-finals and grand final of Dota 2’s first UK major, ESL One Birmingham, will be broadcast on BBC Three on Saturday, May 26th and Sunday, May 27th. This marks the first time a Dota event will be broadcast live on the digital network. That’s right – anyone with a TV license can tune in to see a dozen world-class teams compete for a $1m prize pool. There are also 1,500 Dota Pro Circuit points available at the tournament, allowing for a crucial boost for teams before The International 2018, which takes place in Vancouver in August. BBC Three’s ESL One coverage will be hosted by BBC Radio 1 presenter Julia Hardy alongside pro casters Gareth and Shaneomad. The livestream will also feature interviews with players to get fans closer to the action. Looking for MOBAs to rival Dota 2? Check out our best MOBA games. Dota 2 has one of the most passionate competitive gaming communities in history, so expect the atmosphere to be positively electric (and by that we mean: a lot of cosplay). If you need proof of Hardy’s esports credentials, you can watch her masterfully break down the appeal of the scene to a pair of baffled Sky News presenters here. The quarter finals of the competition kick off today, with paiN Gaming facing off against Mineski, while OG will take on Fnatic later this afternoon. The winners of the first round will go on to face Virtus.pro tomorrow, while the second round’s victors will challenge OpTic Gaming.